Produced by an infusion of rare herbs collected manually in the great expanse of wilderness at the border with the Bay of Ungava, an unspoilt region of northern Quebec, with the breathtaking scenery and extreme climatic conditions. Gin Ungava surprise to the color yellow, on, donated by the herbal infusion that takes place after the distillation. Juniper, Rhododendron Subarcticum, the Labrador Tea, bearberry, Camemoro and rosehip are the six herbs that the population native to the area, the Inuit, collects manually and that give a distinctive flavor to the product, highlighting the genesis, 100% natural this super-premium gin. 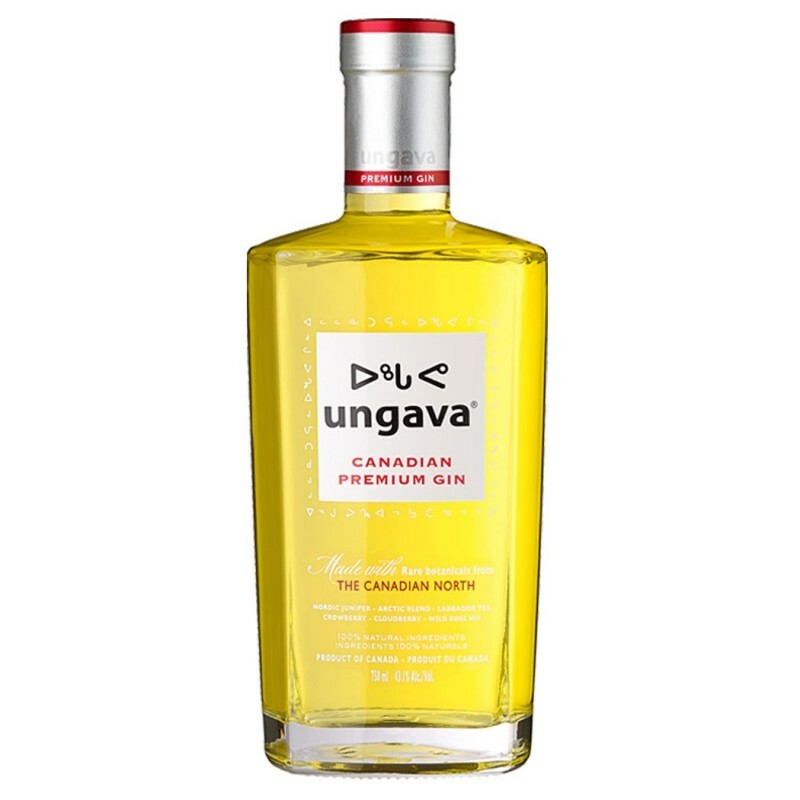 Gin Ungava is strongly linked to its land of origin, contributes to the protection of the cultural and economic life of the local population: the rare herbs and berries collected from the Inuit, are purchased by associations of fair trade.